We care about what you eat. We want to create food which nourishes your body and tastes delicious. We only use 'real' ingredients in our products for a full flavor experience. We have taken great care to source all our ingredients from certified organic farmers and suppliers. We take care of every step, from sourcing to sustainable packaging. shop to your heart's delight! GREAT NEWS! WE’VE MADE IT easier for you to enjoy our products! You can now shop for our delicious tasting sauces, dressings and condiments direct from the comfort of your home and have them shipped directly to your door. Our products have been certified Vegan, Gluten Free, WHOLE30, PALEO, USDA Organic and Non-GMO. We also use organic Agave nectar to sweeten. "Danville is the home of Organicville," said Sky Valley Foods CEO Rod Troni. That is one of the product brands made at Danville's Sky Valley Foods. 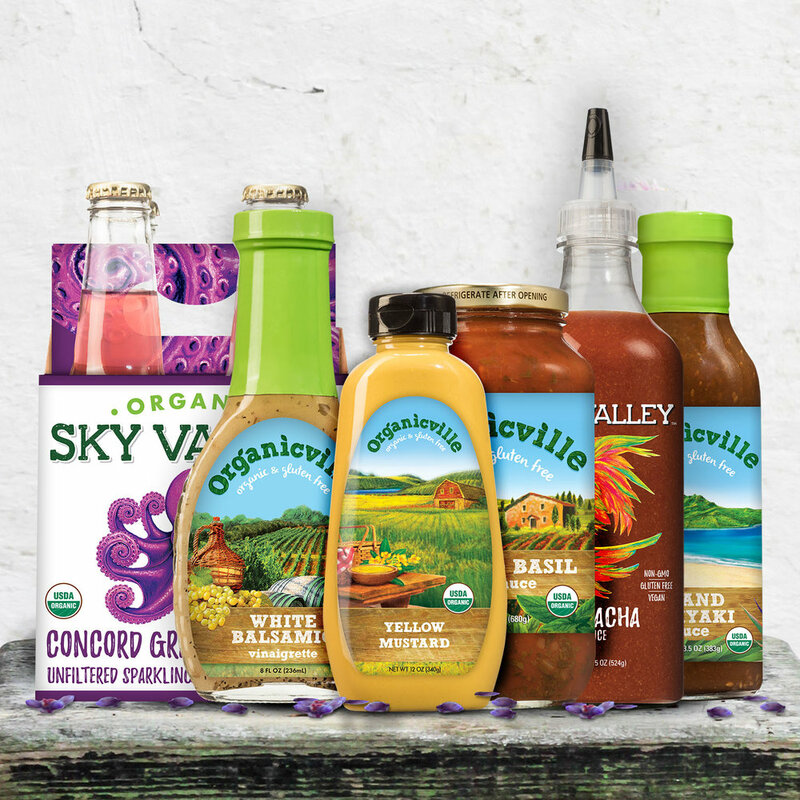 Organicville is a line of organic sauces and dressings. Organic-focused brand under Sky Valley™ Foods aims to satisfy growing demand in natural food enhancement category and beyond. maggie q loves our sriracha sauce! In a recent US Magazine article Maggie Q shared an insight into what she carries in her handbag at all times. One of those items was our Sriracha Sauce...a firm favorite with Maggie Q to add a punchy, hot, flavorful 'zing' to her meals.